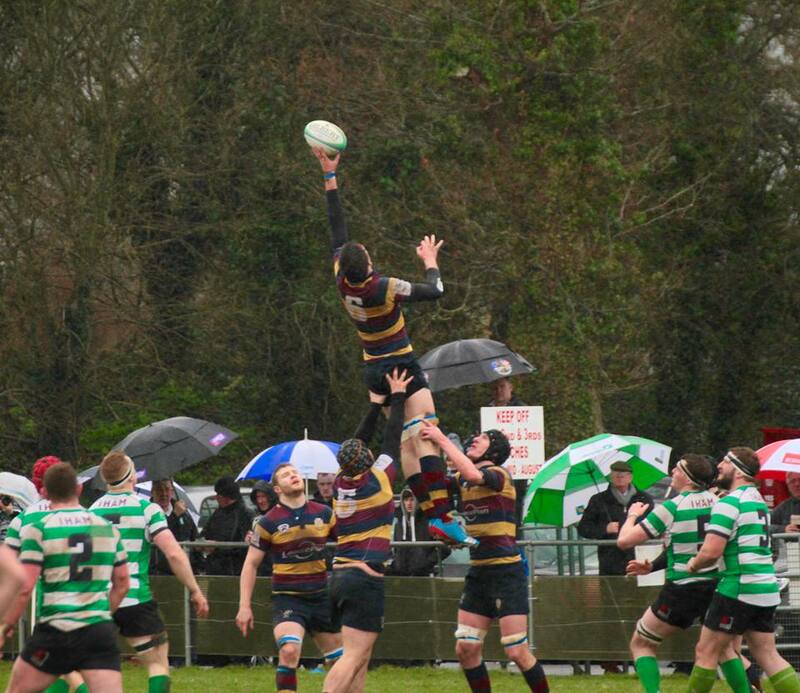 Skerries went into their last Ulster Bank AIL match against the leaders and promotion favourites Naas in a wet Forenaughts. Based on previous results from the two teams it was a case that the Skerries team needed to be positive and try and upset the Naas play. The curtain raiser brought Naas and Skerries U-17’s into a semi-final which this talented Skerries side came out with a victory by 23-10. Maybe this was the omen the Skerries senior side needed. There was a big travelling support for this crucial game. Skerries made some changes to the team again with Kev McGrath playing at full back, Derek Keane returning to the wing position and the rejuvenated Marc Hewitt making his seasonal debut back in the centre position with Ross Dempsey. In the pack Eoin Matthews came in for Evan Sherlock. Skerries needed to be positive and from the start and they took the game to Naas. Some good interplay with back and forwards led by Thomas O’Hare and Ross McAuley allowed Derek Keane score in the corner. Robbie Jenkinson missed the difficult conversion but Skerries had their lead 5-0. Almost immediately Naas responded off the back of a Skerries error. From the resulting block down, Naas moved the ball quickly and scored a try by Ryan Casey and conversion by Peter Osborne putting Naas ahead by 7 points to 5. Skerries regrouped and continued to take the game to Naas. Both sides tried to play some open rugby but the wet difficult conditions made it difficult. Naas made better use of the kicking game putting the Skerries defence under pressure. On 30 minutes, Naas were awarded a scrum penalty just outside the 22-meter line and Peter Osborne converted making the score 10-5 to Naas. Skerries continued to make the play and the forwards responded with good phases, retaining possession and making inroads in the Naas half. While no score resulted from this passage of good play, Skerries remained in the game. Just before half time Naas were awarded another penalty to put them in front 13-5 at the break. The second half conditions deteriated which didn’t help the game as a spectacle. Both side tried to play with ball in hand. John Condron came on for Neil Foster in the front row. Ten minutes into the second half Naas were awarded a penalty in front of the post which Osborne duly converted to leave the score 16.-5 to Naas. Skerries needed to respond. Twenty minutes to go, Naas scored a second try again from a Skerries error with impressive Osborne adding the conversion adding to their points 23-5. The game was slipping away from Skerries. Fresh legs off the bench introduced for Skerries, Eoghan Carron on for Billy Mulcahy. Carron made an immediate impact which seemed to spark Skerries back into life. Skerries went through numerous phases with good ball retention from the pack. Having created the overlap, the ball was dropped short of the line and the try opportunity was missed. This young Skerries side made Naas fight all the way and the scoreline did not reflect the Skerries effort. Luck just wasn’t on Skerries side. Well done to Naas on a great season and wish them the best of luck next season in Division 1B. This season was a very tough experience for the young Skerries side but they showed on their day they can match most teams. Each game they were forced to make changes due to injuries which did not help getting the combinations and consistency. Now Skerries need to regroup and turn their attention to the playoff against Greystones on Saturday 16th April. .